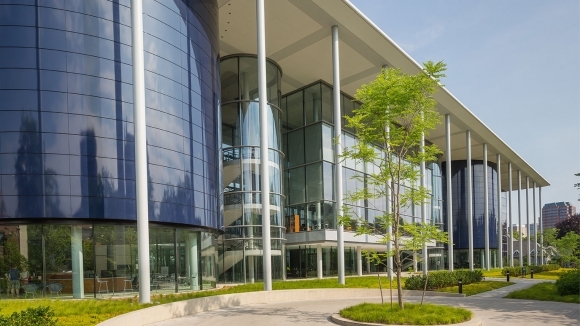 Unique academic experience: Yale SOM’s “Integrated Curriculum” encourages students to learn the fundamentals of business as well as the context in which organizations and systems are running, including larger questions about business’s impact on society. The curriculum includes “raw” case studies and unlimited elective choice throughout Yale University. Tech-embedded classrooms: The new Edward P. Evans Hall is an integrated building for SOM students that provides enhanced academic experience with technology-embedded classrooms and a increased sense of community. “Sliding scale application fee” in the admissions process allows adjustment in application fee depending on the applicant’s annual compensation. This is to take into account that many applicants come from countries or career fields where compensation levels may vary. International-friendly admissions process: International students are required to submit English ability test scores (i.e. TOEFL, IELTS). Moreover, over 40% of the student body are international. To learn more about application tips for Yale SOM, mark your calendar with their upcoming “Application Tips Panel” on December 10th, 2015. Admit Advantage offers customized application services for business school applicants. Get in touch to find out more!